The move will allow viewers to watch high definition coverage of the weekly English Football League highlights on Saturday nights, as well Quest's range of factual entertainment and sports programmes including Wheeler Dealers and Salvage Hunters plus various ad-hoc sporting events. Since its launch in 2009, Quest offers a range of free-to-air content previously aired across Discovery's pay TV portfolio of channels. Since Discovery's acquisition of Eurosport, Quest has branched out into coverage of various sporting events. It's arguably the most high profile HD channel launch on Freeview since the arrival of additional HD channels from Channel 4 in 2014 and new BBC HD channels in December 2013. In recent years, HD additions on Freeview have been limited to shopping and niche channels, plus the temporary BT Showcase HD service that ceased earlier in the year. 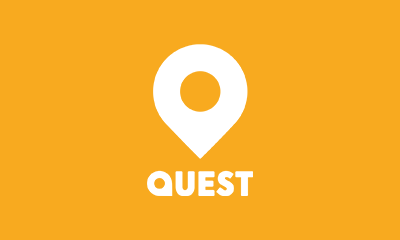 Limited capacity for HD channels means the service will not be available to everyone: whereas Quest's current standard definition channel on channel 37 reaches around 90% of the UK, Quest HD will have a technical reach in the region of 75%. Currently only the HD simulcasts of the main channels have full access to all Freeview HD households. Quest HD will also be available in YouView (BT, TalkTalk, Plusnet TV) and EE TV homes on channel 114, subject to the Freeview coverage restrictions. Quest HD launched on Sky, Freesat and Virgin Media at the beginning of the month. Quick checker: Will you be able to watch Quest HD on Freeview? Can you receive HD channels on Freeview (they start from channel 101)? Does the number of HD channels go above channel 105 (e.g. BBC Four HD on 106)? If you can answer 'yes' to both questions, you have access to all available Freeview HD channels and should get Quest HD following a retune after midday on Tuesday 14th August 2018. If you have recently lost access to some Freeview HD channels, this may be due to recent frequency changes that are taking place on a region-by-region basis across the UK. You may need to retune, or your aerial may need an upgrade. Visit https://www.freeview.co.uk/tvchanges for an explanation of the changes and the support available to viewers.